Last year over 800 colleagues took part in our annual survey. This year we would like to hear from even more of you! We are splitting the survey into four parts and sending out a shorter questionnaire at the start of every quarter. The first part of the survey is all about Health & Wellbeing. If you missed the link to the survey, you can click and complete it here instead. Well done to everyone who took part in Westgrove’s ‘Walk for Alder Hey Day’, which has helped to raise £1,500 for the charity. Across the country, partners and colleagues walked 1,500 miles in a day to raise the money for Alder Hey Children’s Charity. Alder Play app is powered by the very latest digital and cognitive advances. It uses gaming and augmented reality to distract patients having procedures in hospital. Within Alder Play, parents will also be able to interact with a chatbot called “Ask Oli” to ask questions about the hospital and what may happen to their child. We are really proud of everyone who took part, especially the team from Spindles Town Square Shopping Centre in Oldham who raised the most money for a single site. Look out for more fundraising events in 2019. We are delighted to have been appointed to provide the security for Birchwood Park in Warrington, one of the North West’s leading business destinations. The business park, which provides 1.1 million sq ft of office and warehouse space, is home to more than 165 companies and over 6,000 people from large blue chip organisations to SMEs and new start-ups. 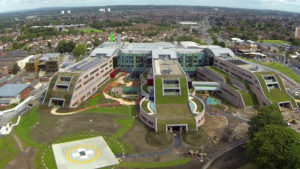 The park is also one of the key sites in the Cheshire Science Corridor Enterprise Zone and is nationally recognised as the UK’s hub for the Nuclear Services industry. High profile firms include Rolls-Royce Nuclear, Sellafield, Wood Plc and Atkins. Both Westgrove Group and Birchwood Park have celebrated their 20thanniversary this year with a series of special events. 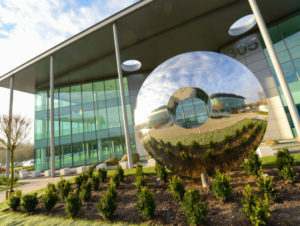 This is our third contract win with CBRE and we worked hard to show Birchwood Park that our security knowledge and expertise aligned with our colleague centric approach is second to none. 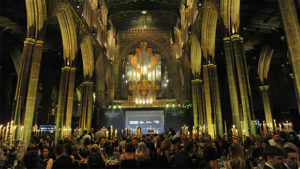 The Westgrove Group was shortlisted for the annual Finance Awards North West. Due to this success, 2018 marks the first year for the North West awards, tapping into a fresh pool of talent working within a thriving finance market. This is a very well respected award and we are proud that our Finance Team was one of five companies shortlisted for Small Finance Team of the Year. 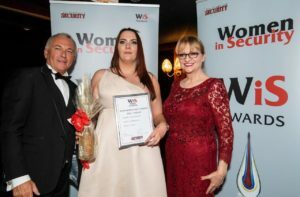 Well done to Rebecca Howarth for being nominated for the Woman in Security awards. Rebecca was one of 12 women to be shortlisted out of 200 nominations for this highly regarded industry award after saving a woman’s life. The awards are specifically for women who operate on the frontline of the security industry and includes entries from door supervisors, security officers, CCTV operatives, engineers, profit protection officers, investigators and monitoring operatives in ARCs. Rebecca was on a night shift in May at Crown Point Shopping Centre in Denton, Manchester, and was using the CCTV system to monitor the site. She spotted a distressed woman standing in the middle of the motorway bridge nearby, informed the local Police control room and immediately went to help. Over four hours, she talked to her, calmed her down and called for assistance. The woman has since been in touch with a thank you card and present for Rebecca. Congratulations to our 20 Super Colleagues! To celebrate our 20thbirthday we searched for 20 colleagues who consistently go the extra mile day in day out. They are the ones that are super reliable, super helpful and super cheerful. We received many nominations from teams and managers and can now unveil the winners. As well as receiving a Super Colleague certificate, our winners will also be VIP guests at our Annuals Awards Celebration in 2019. Gavin has worked hard to engage and build relations with not only a new Centre Manager but also a new employer when we took over the contract two years ago. He has taken on new initiatives including Lotus Pro, Sphere and Aspire and helped Ropewalk to achieve 7* status. From team rotas, Connect payroll to training and engagement, Gavin is just great. Stanford Quarter have had a fantastic quarter submitting a record number of nominations and completing many distant learning courses including Customer Service, Team Leading, Principles and Cleaning. The team also helped a mum find two lost children and rescued a lady stranded in the car park. Congratulations to Paul Taylor for using his Disability Confidence training to identify a vulnerable customer with multiple health conditions who was unable to speak any English and had no money to eat or live. He accompanied her to the in-centre Job Centre, raised her concerns and today she is now getting the benefits she is entitled to. Well done to Phil for building team morale after a series of recruiting issues. Phil turned things around with a great one-team approach, operating with the team as an equal yet leading from the front. Madhav is a valued member of our team who constantly delivers a high level of service. Special thanks go to him for his work producing an in-depth stock recovery report in his spare time which has now become an integral part of our monthly SLA meetings. Paul, Istvan and Sam worked together to round up a ‘lift surfer’ who was gaining access to the goods and passenger lifts to ride on top of them, each time racking up £200 of engineer costs. Sam used his body worn camera to film the culprit as he emerged from his latest lift surf and then they called the Police. Well done to Gavin, Matthew and John for working together on the Centre floor and using CCTV to catch a gang of shoplifters spotted walking out of a store with a number of stolen coats. They were tracked back to their vehicle and stills of all three offenders along with their vehicle details were given to the Police Crime Desk. Nathan calmly dealt with a man who was threatening to commit suicide by jumping off a car park. He quickly grabbed the man, pulled him back from the edge and sat with him until help arrived. Luke saved the life of a woman found covered in blood in the centre. The woman, who had been self-harming, tried to run away when she realised Luke had called for an ambulance. He bravely held on to her and tried to calm her down. She later returned to the centre to thank him. Jason prevented a woman first threatening to jump from the car park and then walking in the middle of oncoming traffic. Control contacted the town centre CCTV who called the Police, who took the woman to hospital. The Security Team swung into action after a man was spotted acting suspiciously and threatening to jump from first the car park and then the building. The man was restrained and the Police called. Well done to everyone involved. Yahya was nominated for his quick thinking after tackling a knife wielding man running through the centre. He bravely restrained the man until the Police arrived. Janet and Andria found a bleeding woman lying in the road by a loading bay area who had been knocked over by a man on a mobility scooter. They moved the woman to safety, checked her injuries, reassured her and phoned her husband. On one day, Steve talked down a woman threatening to jump off the roof, staying with her until help arrived, then put out a cigarette fire threatening to burn two homeless men who had made a bed out of paper and sheets they had found in a loading bay. Erdal saved the life of a young man about to jump from the top level of the car park by pulling him back from the edge. He then stayed with him, talking to him until help arrived. Do you know anyone who might be interested in working with us? Let us know and, if they are successful, we will reward you with £100. ‘Colleagues of Tomorrow’ is Westgrove’s ‘refer a friend’ scheme, which means that for every friend that you refer to us, and we recruit, we reward you with 100* to say thanks! It’s just a great way of speaking to people interested in joining us and rewarding the colleagues who already work with us. If you have someone in mind you think would be great for our business, please send an email to Recruitment@Westgrove.co.uk quoting ‘Colleagues of Tomorrow’. *£100 is payable on completion of a 6-month probationary period.